Oh joy! 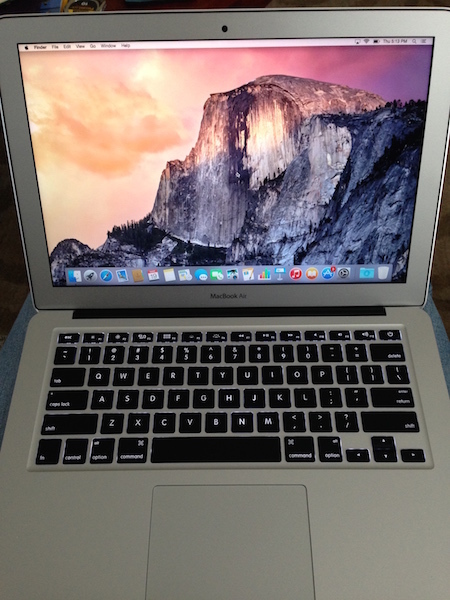 Today I replaced my old clunky laptop with a snazzy new one! I am hoping that this newfangled machine will empower me to return to my blogging more often. My old, slow, very outdated computer made for easy excuses NOT to post. It’s heavenly to have a newer, faster, sweet machine! And I look forward to more frequent book conversations with you all! This entry was posted in Blogging on March 19, 2015 by Robin. Looking forward to seeing more post from you! Isn’t it great to get a new computer? I love my laptop. So much faster than my old desktop! Thanks, Les. Yes, I forgot what a pleasure it is to have a new computer. I think I got my old one was just after I started blogging…long, long ago! Thanks, Kelly. It’s a delight to use! Nice! I love my Air. It’s two years old and still seems perfect to me! Enjoy yours!